Ford released there new P3 17m in 1960, with the factory building in total 6669731 cars, 86010 kombi's (Turnier) were built with half having the 1.5L engine. The P3 was built from September 1960 until August 1964, there was a choice of a 1.5L, 1.7L or from September 1961 a 1.75L engine. I always thought that they look like mini 60/61 Ford Falcons. I read it some time ago. When the US designers went to Germany to see their projects in 57/58, they were amazed about the Adria project (Taunus 17M P3). They caught the concept and thought in Falcon with pure shapes without chrome details. 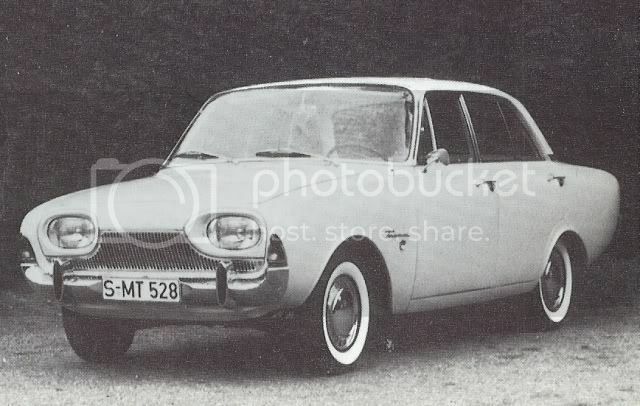 You can see, the first Falcon used curved bumpers like Taunus P3 wich was thought in 57/58 with a lot of prototypes. By the way... The Mustang concept used the V4 1.5 Taunus engine! I'll need to look through my stacks of magazines, but I thought that the Tanus was going to be Ford's "world car", I thought it was codenamed "Cardinal" ...anybody else heard this? The Cardinal project was a car thought for Universal car. In UK it was rejected because it was such modern model (The first Ford with FWD and V4 engine!). 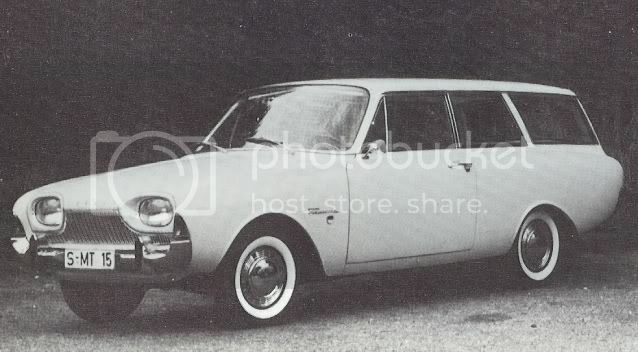 Ford UK took the car, and with same minimal details and straight 4 engine and RWD launched the Cortina (Archbishop project!! ).